The Motorola ET1 has reached end of life. It has been replaced by the Zebra ET50/55. 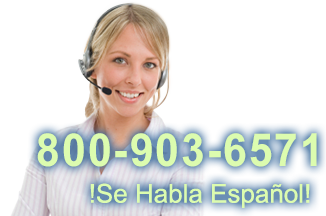 This product replaces the older Elo TouchSystems ETT10A1. 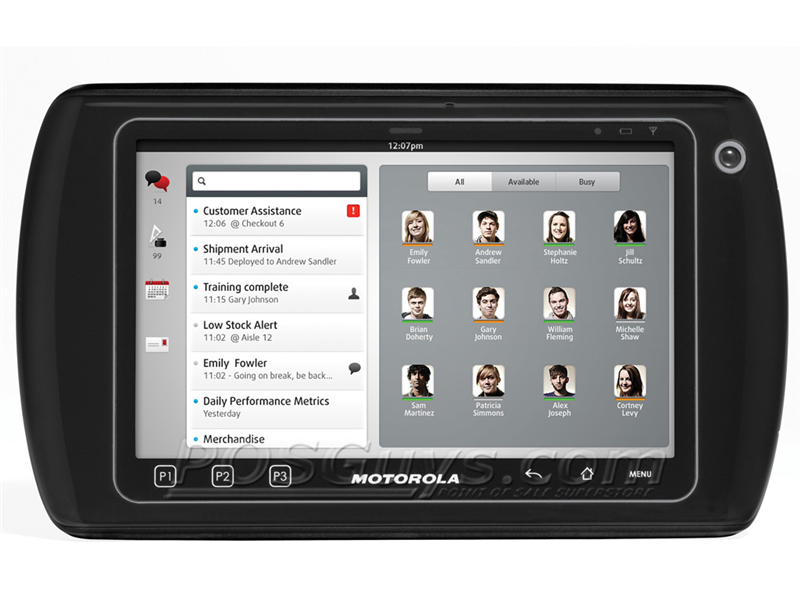 The Motorola ET1 tablet represents the first entry into enterprise class tablet computing. Ideal for line busting, mobile inventory checks, or any data management within the four walls, the ET1 offers the ease of use of a consumer tablet with the durability and security required for all-day business use. 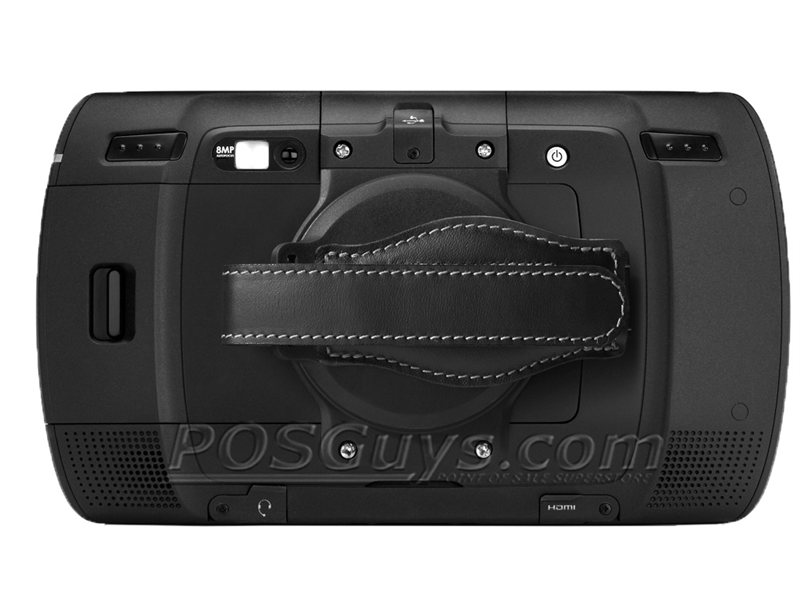 Powered by Android OS 2.3.4, the ET1 runs on a dual core 1 GHz processor with 1 GB of RAM and 4 GB flash. A microSD slot supports up to an additional 32 GB of flash storage, and the ET1 by default encrypts all data, securing sensitive data such as credit card data or patient information. The ET1 comes equipped with an 8 megapixel camera, great for on-site image capture as well as occasional barcode scanning. If more advanced scanning is needed, simply attach Motorola's barcode scanner expansion module, or pair the ET1 with a Bluetooth cordless scanner. 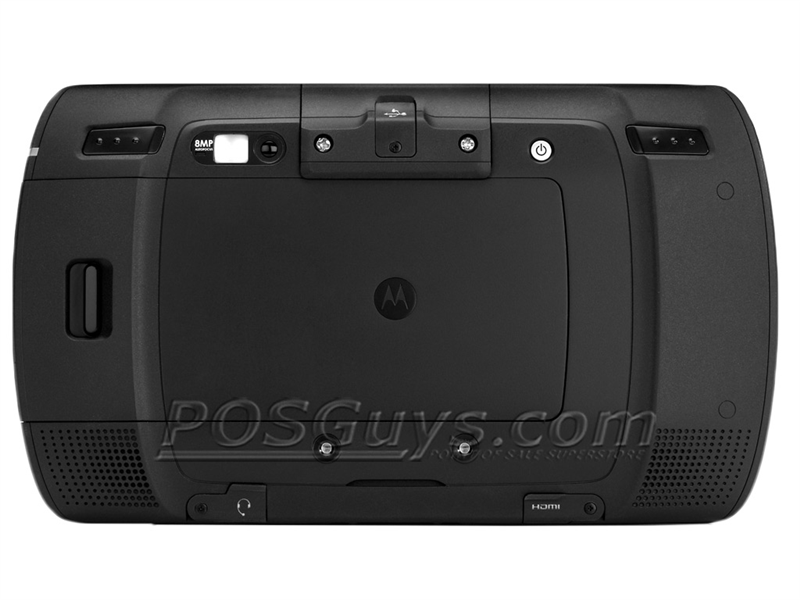 The expansion module slot also supports a credit card reader or USB module from Motorola, giving the ET1 versatility to operate as a mobile payment terminal. The 7" LCD touchscreen is built with ultra strong Gorilla Glass, making it virtually impervious to damage. The ET1 sports a native resolution of 1024 x 600, offering unmatched screen real estate, and the capacitive touchscreen interface allows for greater precision during operation. A 3-axis accelerometer, gyroscope, and light sensor provide automatic adjustments to the display, reorienting and changing brightness as needed, maximizing battery life. 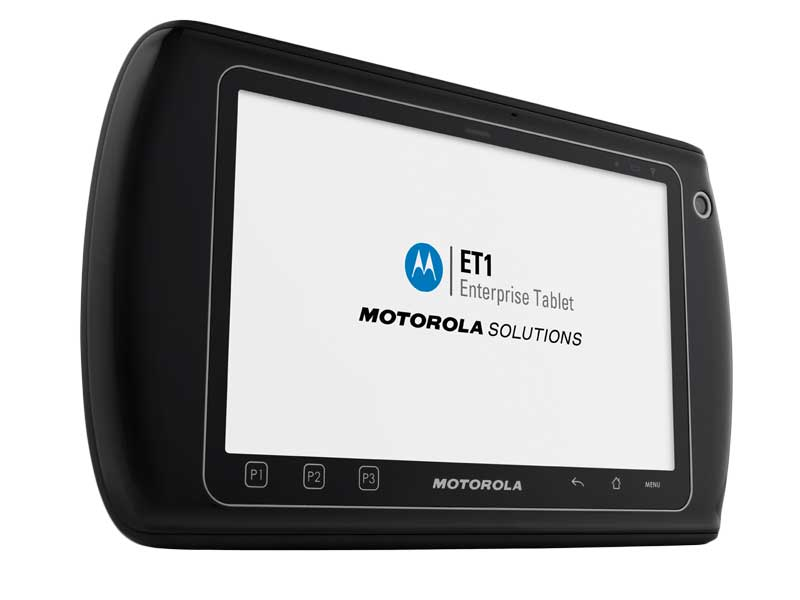 Motorola designed the ET1 to survive in environments too rough for consumer-class tablets. The rugged design of the ET1 protects it from drops of 4 feet, and the tablet is environmentally sealed at an IP54 rating, ensuring windblown dust & splashes of water won't harm it. 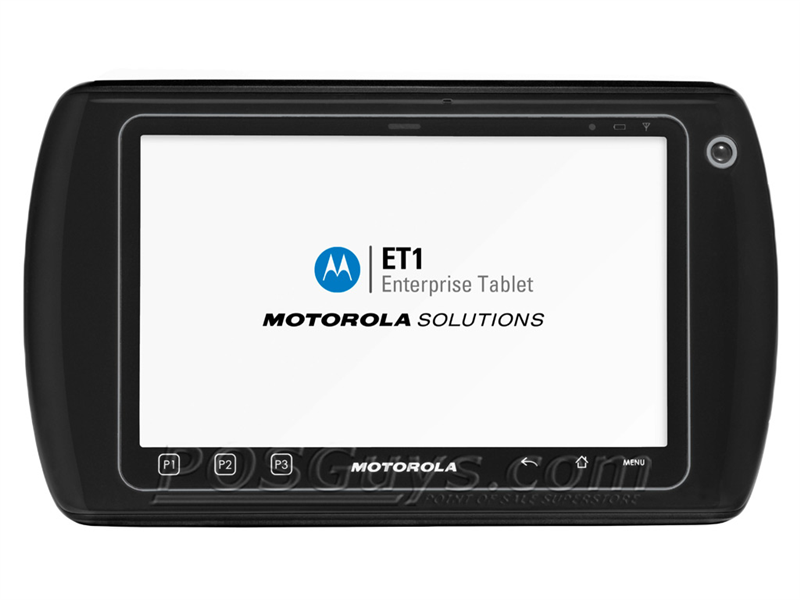 With a 1-year warranty standard and Service from the Start with Comprehensive Coverage plans available, the Motorola ET1 tablet is a smart and economical solution for any business. Dimensions 8.82" x 0.98" x 5.14"
Find it faster! Click here to compare ET1 models by feature.